When I first came up with the title for this blog I was a bonafide tattoo virgin. 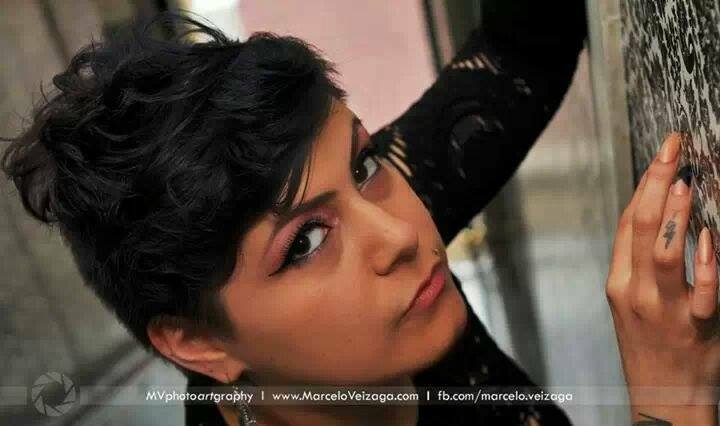 However, that all changed one week prior to attending the 16th Annual Philadelphia Tattoo Arts Convention with the one and only, local female Mexican tattoo, graffiti, body paint artist, Ms. Nebsi Camacho. A few things are surprising about that last sentence, she’s female, a Latina, and a tattoo artist. Three identities that back in the day I would have never grouped together. 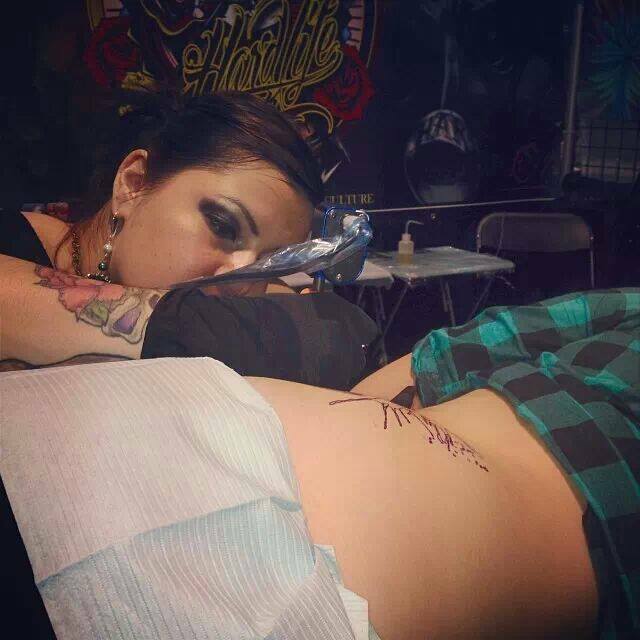 Nebsi has been making a name for herself in the local DC ink world, working tirelessly at a local tattoo shop in Northeast DC, called Off Da Hook Tattoos, and accompanying various Latino shops across the country for the tattoo convention circuit. When she invited me to go with her to what she described as “one of the biggest tattoo conventions in the East Coast,” (the Philadelphia Tattoo Convention) held on January 31 through February 2nd, I couldn’t say no. For our purposes, we will keep the title “Like a Virgin at the Philadelphia Tattoo Convention” because this indeed was my first tattoo convention and I was able to attend as both a spectator and as an insider getting a behind the scenes look at what goes on at a tattoo convention. My first impression was that tattoo conventions ARE THE BEST THING EVER! They reminded me of the flea markets (aka. “el Swap Meet”) that I used to go to while growing up in LA…except these were “puestos” and “puestos” of tattoo artists and their fans going under the needle in the name of artistic expression. In addition to the amazing art pieces, there was food, booze, live music performances, comedy and burlesque shows, tattoo contests, and more. Not to mention gorgeous tattooed people as far as the eye can see. Like I said, the best THING EVER. I’ve wanted a tattoo since I was 14 or 15. I knew I couldn’t get one back then or my Mexican mother would disown me because according to her “only cholos get tattoos.” No matter how much I explained to her that it was an art form, my mom associated tattoos with gangs/prison and well.. you name it. But that was then and this is now. (For reference purposes I’ll disclose that I’m not exactly 21 anymore…:P). Tattoos have long left the prison yard and have become a part of mainstream culture. It’s not uncommon to see tattoos in the corporate environment and you’ll be hard pressed to find a profession where you don’t encounter some ink. I myself working for a government contractor have been hesitant to get a tattoo for fear of being deemed unprofessional. Fast forward to now, I am the proud owner of not one but TWO tattoos…. All done within the same week! My first piece below is an original custom design by the very own Nebsi Camacho. Word of advice for all the newbies out there, do NOT get a huge 3.5 hour tattoo as your first tattoo. Just don’t. For those of you that are going to ask me if it hurt? I will quote my friend Nat Vega of local DC post-punk band Company Calls, who told me the night before I got my tattoo, “It doesn’t really hurt amiga, but it feels like someone burns you with hot water and then takes a knife and scrapes the skin off.” WTF. Yes I still got the tattoo even after THAT lovely visual and yes I was imagining my burnt skin being torn off with a knife while the adorable Nebsi was trying to ignore my painful screams and curse words to get the job done. So why in the world, did I go right back under the needle only 7 days later? Because the second thing you’ve heard about tattoos is definitely true, they are ADDICTIVE. 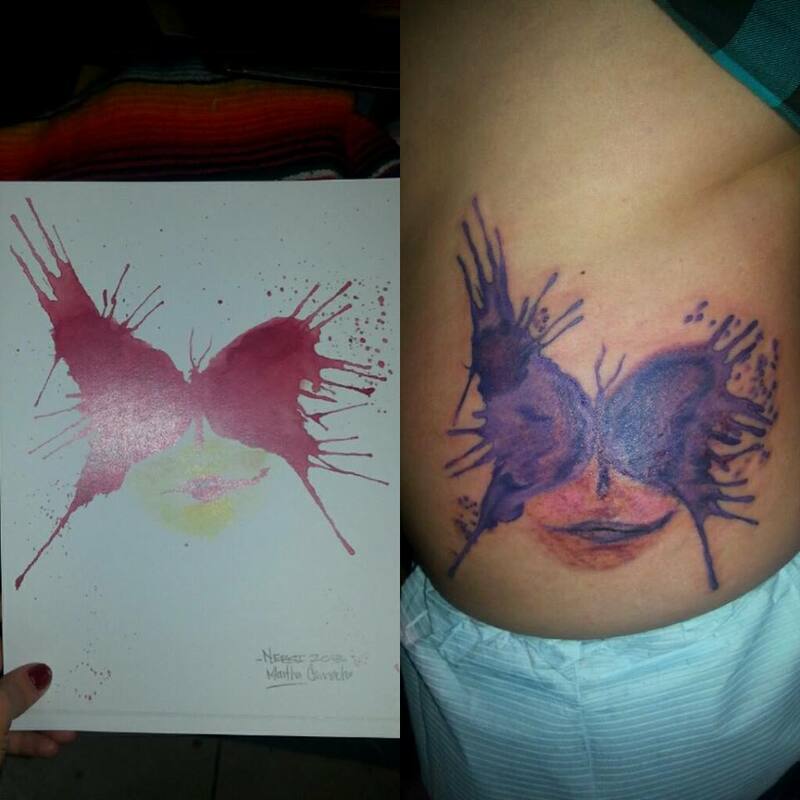 Once you get one, you love it so much you just want to see every blank piece of skin covered in beautiful art. The second tattoo was somewhat unplanned in while walking the tattoo convention, Nebsi and I came upon a necklace that had a day of the dead cat design. I loved the design so much I asked Nebsi if she would draw up a similar design but using pictures of my own cats as a base (particularly eyes and tail). The next day during some downtime, she started to draw up a sketch and that was all she wrote. This time we went and got some numbing cream that you apply 45 minutes before you start the tattoo (the best money I ever spent). This tattoo didn’t hurt nearly as much and at some point I couldn’t feel anything except the vibration of the tattoo machine on my skin. AMAZING. The other awesome part about getting a tattoo while at a tattoo convention is that you're distracted by passersby who often stop and watch the tattoo artist work. You can’t exactly cry in pain with a group of strangers watching your every grimace. Nebsi landed a coveted spot sharing a booth with Har’d Life Ink Tattoos based out of Brooklyn, NYC. 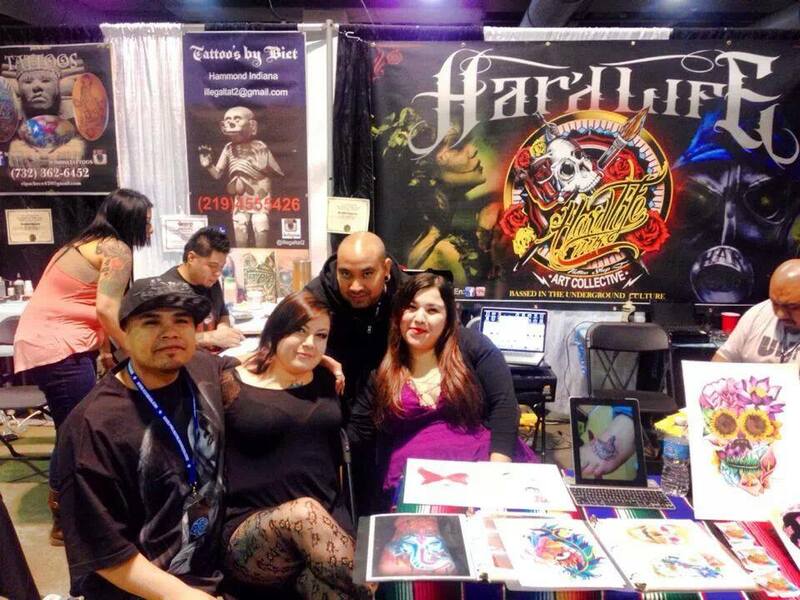 She was tattooing alongside many talented Latino tattoo artists who together booked three booths to create a considerable Latino presence at the convention. 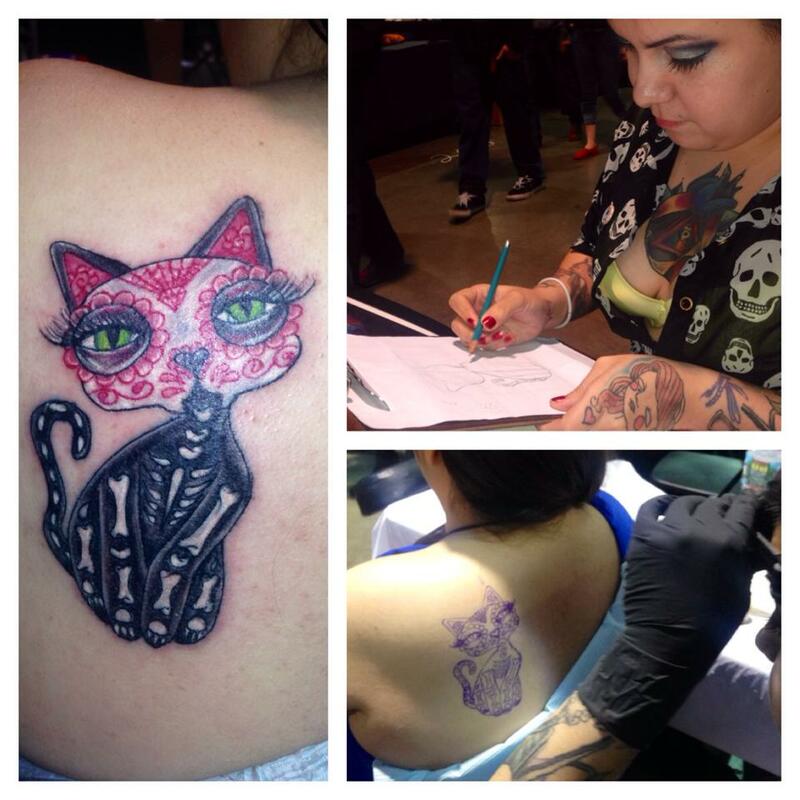 Held over a span of three days, the convention attracted ink fans from all walks of life. From the very young to the old, women and men from all nationalities were there looking to get inked. I also encountered many tattoo virgins like myself who came to see what a convention is all about. Some artists bring in their assistants to help interface with the potential customers, just like you would at a shop, in order to find out what each customer has in mind, and set up appointments. This to me was the funnest part of the convention. I volunteered to be Nebsi’s assistant which meant I created a slide-show of her portfolio on my iPad to facilitate displaying her art (I know snazzy!) and talked to everyone and anyone that came to our table asking what brought them to the convention, and if they had any tattoos in mind. During this process I met tons of interesting characters all with a story about why the love tattoos so much. I met a 70-year-old man from Arizona who came to watch the art but sadly informed me that since he had a pacemaker attached to his heart, he was unable to get any tattoos. He spent his time longingly looking at the art going from table to table enjoying the views. I had a couple of favorite tattoo stories. One girl was a tattoo virgin, and wasn’t there to get a tattoo, but walked by and saw an original watercolor painting by Nebsi. She loved the piece so much because she was a psychology major and it reminded her of the Rorschach inkblot tests she was studying. It took her a while to decide but after getting a quote and being told this was a one-of a kind original design by Nebsi, she was sold and got the tattoo! My next favorite tattoo happened while Nebsi was tattooing her watercolor tattoo. A girl and her boyfriend walked by and asked about Nebsi’s art. They were interested in getting a couples matching tattoo as a present for Valentine’s day. 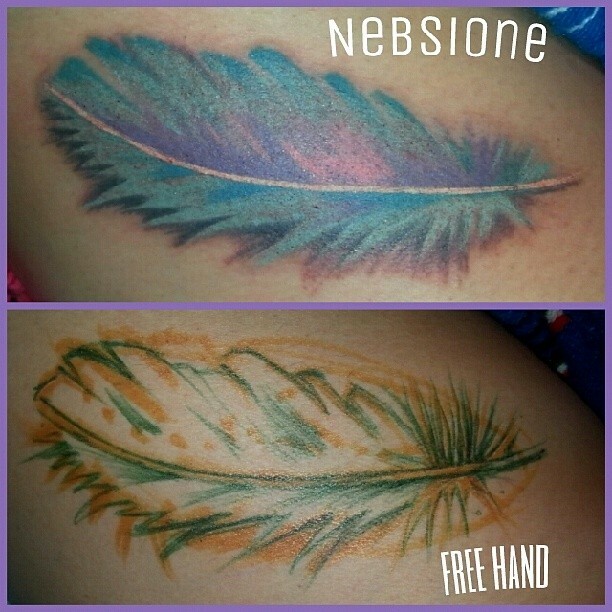 Nebsi performed their tattoos using free hand, for those not in the know, most tattoos are first drawn out on a stencil that is then placed on the skin and used as the guide for the tattoo. However, a free-hand tattoo is drawn by the artist directly onto the skin using a special pen, which is then used as the guide for the tattoo. My next tattoo will be using freehand! I wish I could tell you that after spending hours and hours at the convention we went to a million after parties and partied til there was no tomorrow, but in reality the convention itself is so much fun and there is soooo much to do there that you don't really need much else. However, we did make time to go out on the town one night and enjoyed some local bands at the local bar for the convention afterparty. Losing my tattoo convention virginity is something that I will never forget (and my new ink will make sure of that!). While it's impossible to go into all the detail of what was part of the convention you can check out some AMAZING pictures and videos on the official Facebook page. 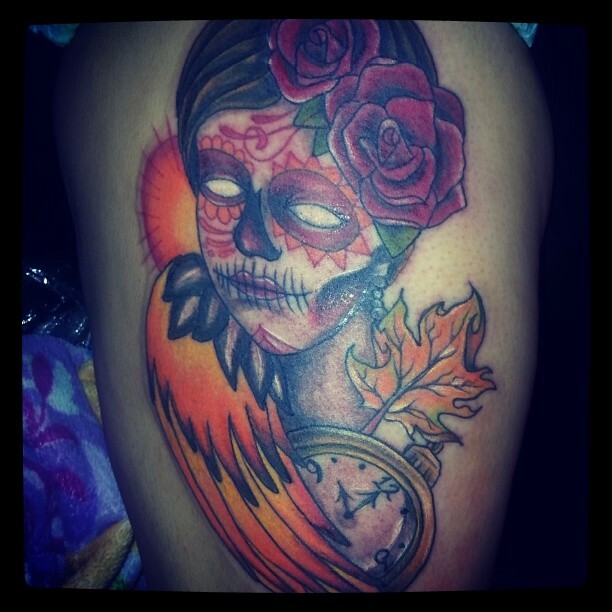 Check out Nebsi Camacho on Facebook and online, or better yet, you can visit her in person at the upcoming Baltimore Tattoo Arts Convention being held from April 25-27th at the Baltimore Convention Center.